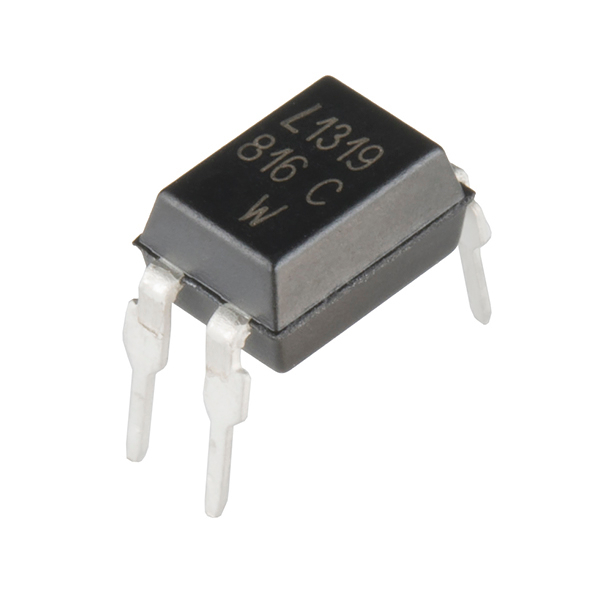 This is an opto-isolator for controlling large loads of current on a single channel. This 4-pin dip can be used in conjunction with relays, small motors, etc. to allow a simple microcontroller to turn on and off up to 50mA.